The group from Boston, with the most amazing live appearances, promise to all of their fans that this is going to be a night to remember! As always. Strong vocals, unceasing energy on stage and an unprecedented adrenaline explosion compose a top concert scene. 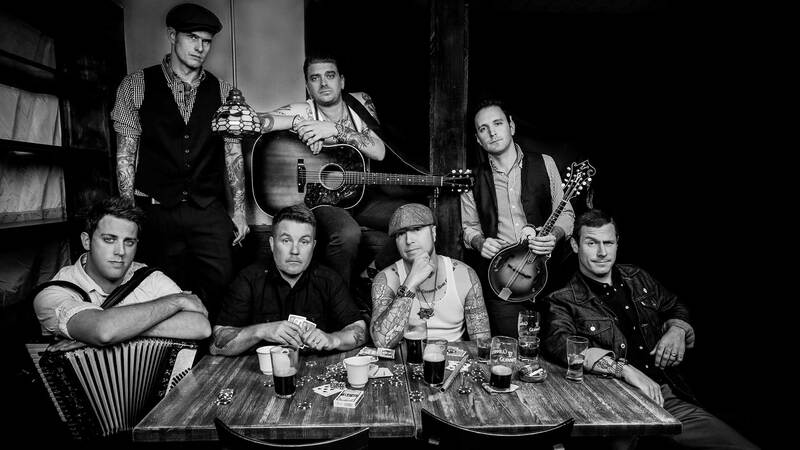 Dropkick Murphys were formed in 1996 in Quincy, Massachusetts, during the bloom of the underground scene. Two years later, they released their first, legendary "Do or Die" album. Mike McColgan's departure brought Al Barr to the vocals with th release of their second studio album "The Gang's All Here". Subsequent radical changes followed, however Dropkick Murphys, never sacrificed anything. Combining the traditional punk skeleton with instruments like piano, flute, bagpipe, accordion, mandolin and harmonica, they created an irresistible mix that brought them to the top. "Rose Tattoo", "I'm Shipping Back to Boston" and "Johnny I Hardly Knew Ya" are just a few of the dozens of their songs that astonish in each show. Summer of 2019, starts the best way with Dropkick Murphys returning to Greece!